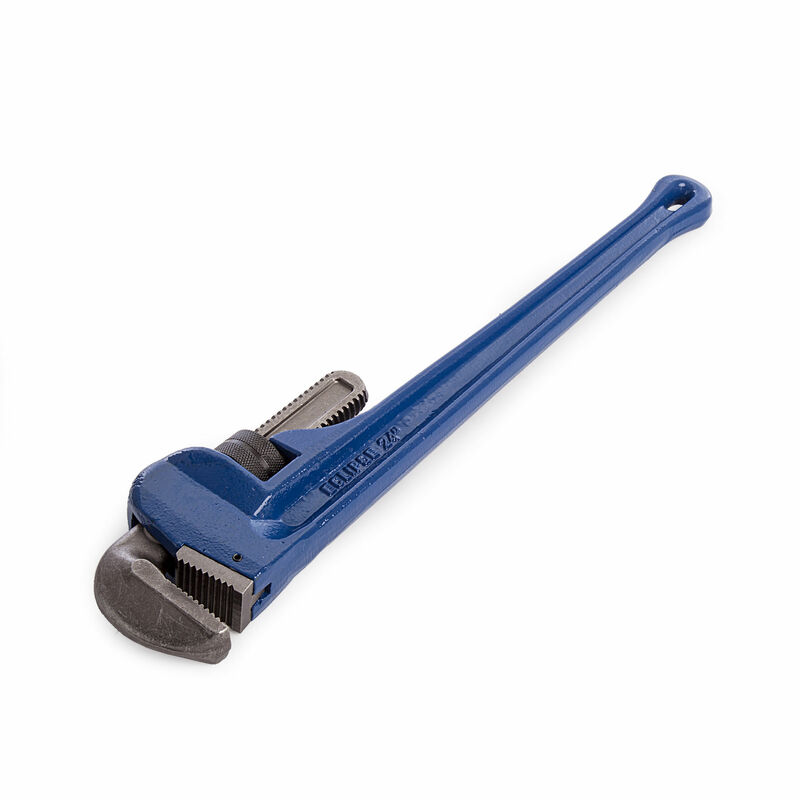 The Eclipse ELPW24 Leader Pattern Pipe Wrench has a frame and handle that are made from a one piece ductile iron casting which is guaranteed unbreakable, whilst the flash hardened teeth increase wear resistance. 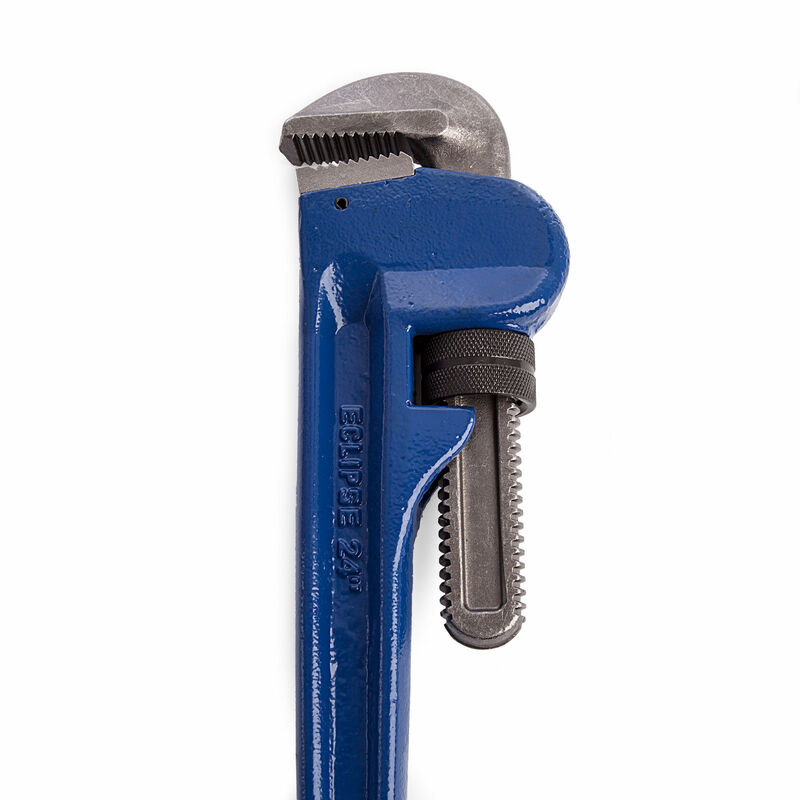 The hardened and tempered steel adjustment nut gives a longer working life and the precision machined screw thread and spring jaw remain open until pressure is applied. Conforms to British standard BS3594.